Anybody that knows me well will tell you that Segs has an irritating fondness for Mondays. Or maybe it’s simply because my social life is nothing to write home about these days??!!! Yep – I confess – aside from working six days a week my passion for watching series such as Homeland, Game of Thrones, Suits and The Good Wife seems to have dealt a vicious and quite possibly fatal blow to my desire to socialise! How on earth did I manage to start talking about my dire social life????? I am supposed to be talking about Handel’s Messiah. I’ll say it again – what an absolute masterpiece! I’m sure Handel regularly plays his magnificent work of art for God in heaven; especially the Amen finale. That awesome piece of music was surely a direct download from the maker of Heaven and Earth Himself. Attending an enchanting performance of Handel’s Messiah on a cold December evening at the Royal Albert Hall many years ago with my dear brother Tols, still ranks as one of my favourite nights of all time – at least so far anyway – let’s hope there are many more to come. Hey – life begins at 40 so I’m sure there will be many more glorious nights. Ever since that wonderful December evening at the Albert Hall I’ve developed a peculiar habit of playing Handel’s Messiah in my car every December – without fail. Every year, as soon as we land on the straits of December, Handel’s Messiah takes the number one spot on the car stereo – over and over and over again. I never realised why until now. Yep! In Segs’ world Christmas time is Handel’s Messiah time; especially the song ‘For Unto Us A Child Is Born’. For a long time I used to wonder just how heavy that cross was – you know – the one that Jesus carried for miles and miles before eventually being nailed onto it. In order to get an inkling of its immense weight I would imagine myself – or at least try to – carrying an Oak tree. A few days ago it suddenly dawned on me that the weight of an oak tree is nothing compared to that cross. The weight of the whole world was on that cross. The weight of an Oak tree is child’s play compared to how heavy that cross must have been. Not only did He take all the issues and problems of the world on the cross but He also carries on His shoulders the weight of governments – past, present and future. Indeed he is the head of the imminent everlasting government. Can you remember when as a child your dad would sometimes lift you up and prop you on his shoulders? Especially when in amusement parks etc. And if you didn’t experience that then you seriously missed out! Sorry. Anyway, as I remember it, as soon as I was on his shoulders I felt completely at peace – in control – in authority. Christ carried all our sins / issues / problems / guilt / condemnation on that cross. Indeed by His death and resurrection he is carrying us right now. You sit not in the realm of law and sin. You sit on the shoulders of the King of kings – in authority and in peace. As my brother came out of the room I assessed his demeanour, searching for clues that might reveal the mood of the revered and much loved man in that study. “How did it go? Is he in a bad mood?” I asked. Not exactly the reply I had been hoping for. “I often try to imagine how intimidating Goliath must have been. The bible says he was over nine feet tall. Loving people unconditionally is something I’ve always struggled with. Some people are just so difficult to love!! But they are!!! Lol… Yes yes yes – including myself! Arrogance has often been a major challenge; so too have pride, anger, and a tendency to be easily irritated. I’ll stop there. No need to add any more. Yep, that’s me – a few hundred miles away from ‘far from perfect’. Boy oh boy did I delay on this one!! The skeleton of this message had been in my mind for quite a while, but sensing that I might not enjoy writing it, I..er, ….. well to be honest I just kept pretending it wasn’t really there, in the hope that I could get away with not having to write it at all. So much for that plan working out!! Romans 8 vs 28 says that ‘All things work together for good for those who love God and are called according to His purpose”. I’m currently on my way to Gbagada to facilitate a Sales course. 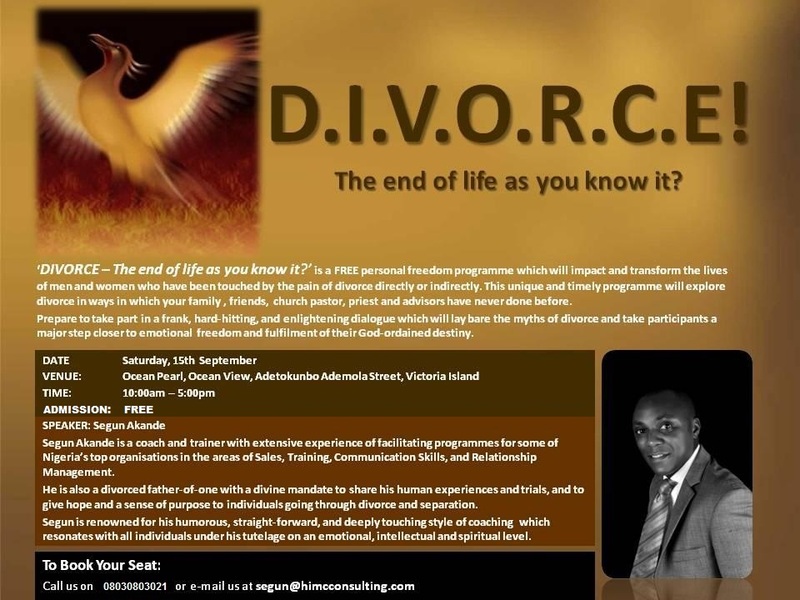 I informed you all many weeks ago about my intention to hold a Divorce seminar in Lagos. On Saturday, 15th September, the seminar was held at Ocean View. The seminar was scheduled to begin at 10am. To be honest I’d rather NOT be doing it. I’d rather be happily married and not have to think about it!! But the reality is that I AM going through a divorce. So too are numerous couples in Nigeria, and all over the world. The tortuous and often lonely experience of the past year opened my eyes to the silent suffering of so many others. So, in a nutshell this seminar is for the purpose of helping people (myself included) to accept their situation, accept God’s love and forgiveness, and endeavour to move on with their lives. It is far better to help, encourage and support one another to get up and press on with life, than to allow ourselves to wallow alone in defeat, anger, bitterness, resentment and self pity, to name but a few. Going through a divorce in Nigeria is a challenging ordeal. We live in a country that loves to celebrate weddings, which is a good thing. 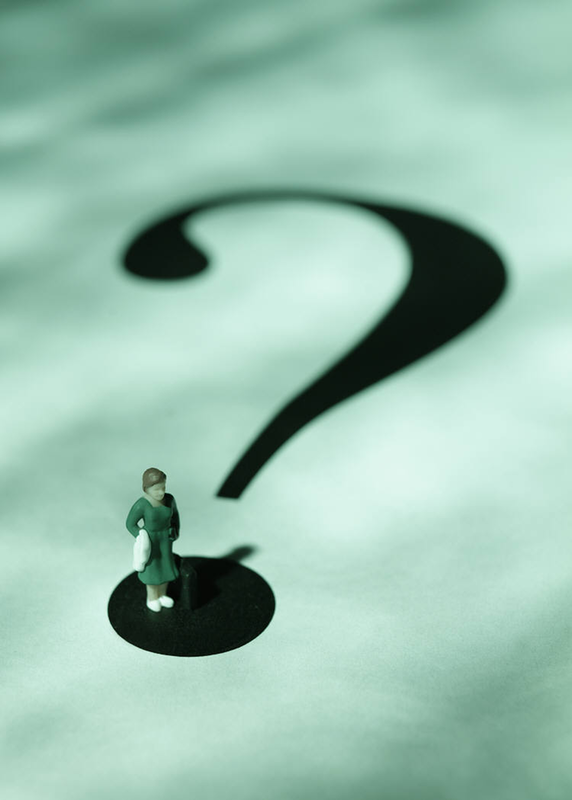 But when marriages experience serious challenges, or worse still, when divorce or separation become a reality, there are very few people or groups you can go to in order to get some respite, advice, guidance, love – call it what you will. On Saturday 15th September, an interactive divorce seminar will be held at the Ocean Pearl restaurant.